The ultimate Spring time fertiliser. 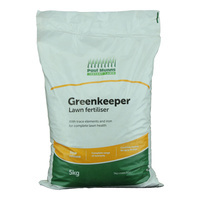 Bring your lawn out of winter dormancy with Greenkeeper. Not only does it have good levels of Nitrogen, Phosphorous, and Potassium, it also contains a lot of important trace elements including iron. 10kg covers 100m2. 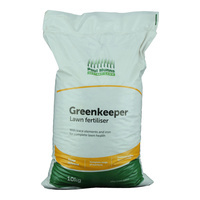 The ultimate Spring time fertiliser. 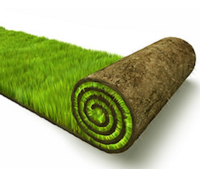 Bring your lawn out of winter dormancy with Greenkeeper. Not only does it have good levels of Nitrogen, Phosphorous, and Potassium, it also contains a lot of important trace elements including iron. 5kg covers 50m2.